On The Economic Ladder, Rungs Move Further Apart Many Americans have long believed that the United States is a land of opportunity, where anyone who works hard can climb the economic ladder. But evidence from recent decades indicates that, for many Americans, that dream of economic mobility falls short. Business owners Pam Krank and Brian McGee have both climbed higher than their parents on the income scale. America is the land of opportunity — that's the bedrock of the American dream. Many expect each generation to do better than the last. 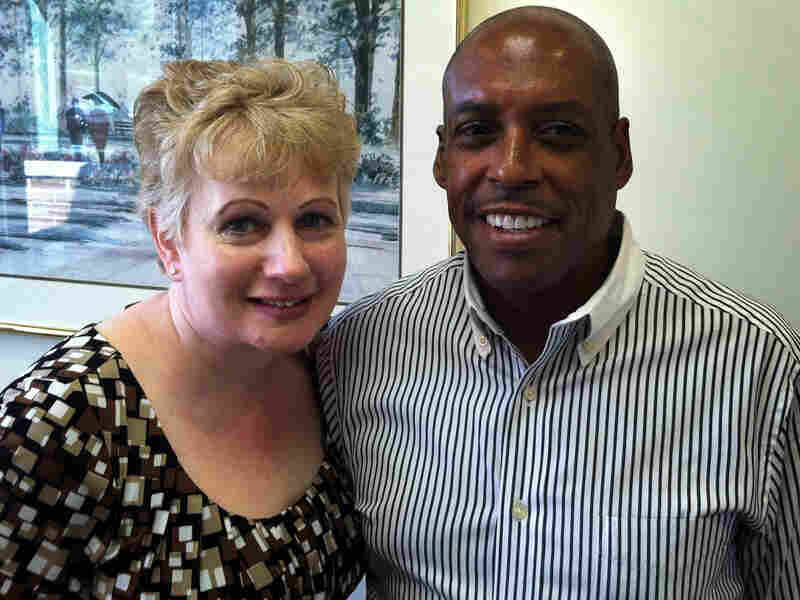 That dream of economic mobility is alive and well for Pam Krank and her husband, Brian McGee. The two are proud owners of The Credit Department Inc., a successful business in the Minneapolis suburb of Mendota Heights. "Mostly manufacturing companies around the world will hire us to study their customers and tell them how much ... unsecured credit they should grant to each customer," Krank explains. "We have financial analysts ... who study financial statements and tell our clients how much credit to grant, and the risk of their customers going bankrupt," she says. The tour Krank offers of the office is short; she and McGee recently moved much of their workflow to the cloud, reducing the need for traditional computer hardware and workspaces. While the company employs about 20 people, few are in the office on a typical day. After shifting to the cloud, "we sent most of [our] people to work from their homes," Krank says. The business has about $2 million in annual revenues, providing the couple with an income exceeding $200,000 a year. They're not in the top 1 percent of all earners, but they are doing quite well, according to an online calculator they used. "I did that little Wall Street Journal thing online, and we're about 95th percentile," Krank says. That's much higher on the American income ladder than either of their parents. Pam, who is white, grew up a few miles away in a middle-class suburb. Her father was a maintenance man at the Armour Meat Packing plant in the old St. Paul stockyards. Brian, who's African-American, grew up in an inner-city neighborhood on the South Side of Chicago. "There is no comparison whatsoever. I mean, my parents were so dirt poor. They came from an even worse inner-city environment in Chicago, where my mother was raised by her great-grandmother who couldn't take care of her," McGee says. His mother had to fend for herself, he says. "It was just totally up to her to do anything. They didn't even care if she went to school or not. And I think it really was my mother's dream ... for her kids to do better than she did with education." Both Krank and McGee have college degrees. He has an M.B.A. In one sense, they aren't unusual. Two-thirds of Americans earn more than their parents did, even after adjusting for inflation, according to data from the Pew Charitable Trusts. But most exceed their parents' income by only a little bit, and their progress is largely due to economic growth in general. Less common in American is climbing to a higher rung on the income ladder than one's parents; that is, moving from the bottom to the middle class, or the upper middle class, as Krank and McGee have. While many believe it's easier to move up the economic ladder in America than anywhere else in the world, the United States simply does not do very well on that score. "This notion that we have about ourselves, as America being somehow exceptional in terms of our opportunity, is not accurate," says Erin Currier, director of the Economic Mobility Project at the Pew Charitable Trusts. "The data show that the United States actually has less relative mobility than Western European nations and Canada." This lack of mobility is especially true for people at the bottom of the income ladder. If you're born to low-income parents in the United States, you are significantly more likely to remain on the bottom rungs than in countries like Norway and Germany. In fact, 40 percent of Americans born in the bottom fifth don't get to the next rung. Similarly, if one's parents are well-off, Americans are more likely to remain in the top income rungs than in those European nations. "I think [the dream is] alive and well, generally, for people who start in the middle class and the upper-income levels. I think there is still enormous opportunity," says Stuart Butler, director of the Heritage Foundation's Center for Policy Innovation. "I think it has eroded significantly for people at the lower end of the income level. We need to absolutely deal with that." Isabel Sawhill, director of the Center on Children and Families at the Brookings Institution, agrees that there is a crisis at the lower levels of income. But she also sees growing income inequality posing a broader threat to the American dream. In the 28 years from 1979 to 2007, the top 1 percent of Americans saw their incomes rise 275 percent — seven times more than middle-class incomes rose, and 15 times more growth than the bottom one-fifth of Americans experienced. And the past decade has been even more disappointing, Sawhill says. "Even before the recent recession, incomes were not growing, on average," Sawhill says. "Then, if you add in the last few years since the recession and very weak recovery began, most people's incomes have actually declined after adjusting for inflation." 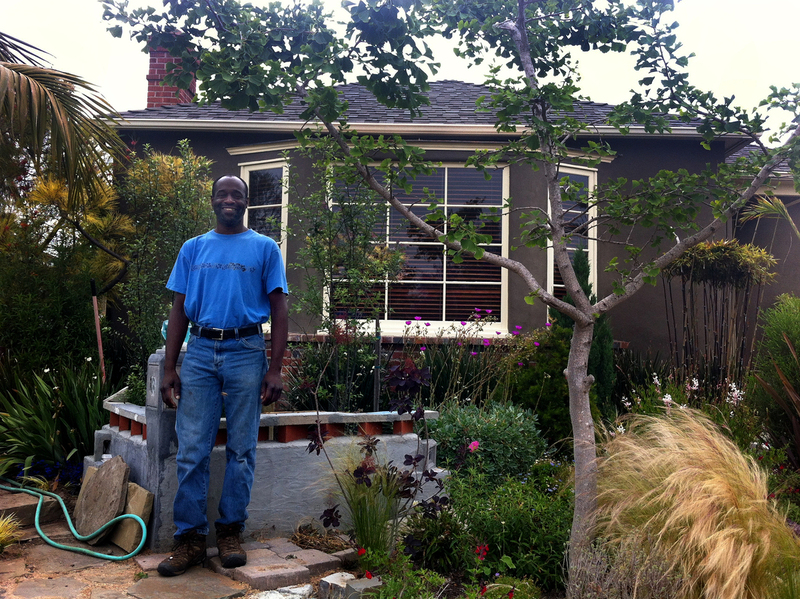 Kevin Hill, a San Diego landscape designer, was doing well financially before the downturn. Now, he says he feels "lost." The Great Recession has made millions of Americans downwardly mobile — like Kevin Hill, a landscape designer from San Diego. Hill, who is African-American, grew up in a middle-class family in Texas, Arkansas and Detroit. Both his parents worked, and both were college graduates. Hill, 44, decided not to get a college degree. Instead, after working for a while at a big Boston bank, he quit and ultimately moved to California. There, he developed a thriving landscape business during the housing boom. In his best year, he made $125,000. But then, things fell apart. "The dream ended in 2007," Hill says. "I mean it did — it really did." That year, the housing bubble burst and Hill's clients evaporated. He lost his own home, too, a bedrock of his American dream. "Part of the American dream is homeownership," Hill says. "If have a home, you have the equity, you can start a business. You can do lots of things. You can better your life." Hill estimates he made just $25,000 in 2011. Hill's experience illustrates another troubling statistic. Nearly 40 percent of African-American men whose parents make it into the middle class slide back down the income ladder in the next generation. One factor is that those families have fewer financial assets. Hill's family couldn't help him hang on to his home, for instance. "I'm still lost. I'm still just kind of — I don't have control of my life. Because the opportunities aren't there," Hill says. "How do you dream, when there's no opportunity for you to dream?" We Want To Know: What Is Your American Dream? Hill is not alone in feeling disillusioned. A 2011 Gallup poll found that only 44 percent of Americans believe that the next generation will have a better life than their parents. Of course, those views are colored by the financial crisis and Great Recession. Opportunity should increase as the economy mends over the next few years. But the Brookings Institution's Sawhill says she's worried that with inequality continuing to grow, moving up will be more difficult. "If the rungs on the ladder are getting further apart — which they are, with growing income inequality — then it may become a lot harder to climb that ladder," Sawhill says. That's because the foundations of the dream — decent incomes, a good education and stable family structure — will be harder to come by for those on the middle and bottom rungs of the ladder, Sawhill says. That, she fears, could reduce mobility further and set the stage for a more rigid class structure in America.